The Sparrow is small sized bird that belongs from the family of small passerine birds, Passeridae. Sparrows are very social birds so they prefer live life near human settlements. Generally they build their nest underneath the roofs, under bridges and in tree hollows. It originates from North Africa however it additionally found in Europe and in parts of Asia, Australia and New Zealand. The size of it’s generally between 11.4cm – 18cm (4.5in – 7in). The top flying speed of Sparrows are twenty five miles per hour(40km/h). The Life Span of it is between 4-7 years. Sparrows mainly eat seeds and substitute their diet with berries, fruits and small insects. 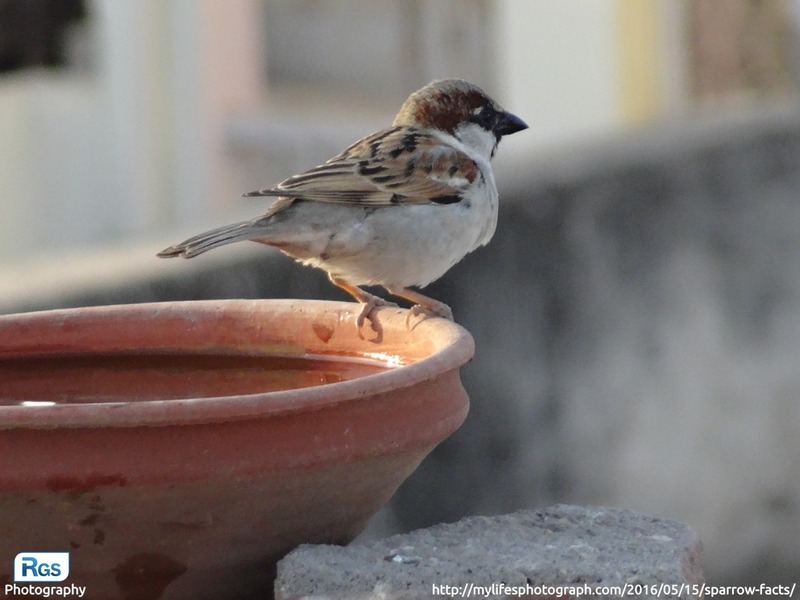 In our terrace, we placed an one water bowl at where all the birds come to drink water so I captured this photo of the male sparrow in the early morning at my home Limbdi. This photo is captured by using Sony DSC-HX10V Camera. That’s good.I like it very much. Before this, I don’t know how a sparrow looks like. For real. I’ve heard of it too many times but never care enough to know what and how it looks like. Thanks for this… now I know. 😀 Nice photo! photo is clear shot and looking like professional photography. sparrow is very close to our daily life and the information provided by you is very good as aware some new features of sparrow. keep it your passion so we can get more colours of nature from ur photo clicks. Thanks, Mr. Roshan for your valuable comment. Your comment matters for us. Have a nice day.